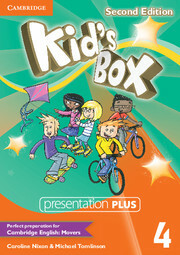 Bursting with bright ideas, Kid's Box gives children a confident start to learning English. This edition ensures that the needs of the Greek-speaking learner are reflected in the new content and unique section dedicated to problematic areas of the English language. It also fully covers the syllabus for the Cambridge Young Learners English (YLE) tests. 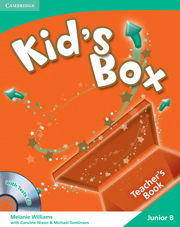 The Teacher's Book contains comprehensive notes, extra activities for every lesson and classroom ideas to inspire both teachers and students. It also contains the answer key to the exercises in Junior B Companion and a Tests CD with new test material.